I would like to welcome you to our class page. My name is Mrs Bailey and I will be teaching your child whilst they are in Year One. Over the course of the year you may find you have some questions about how we do things so please feel free to speak to me when, and if, the need arises. If you need to talk to me in greater depth, please telephone the office to book an appointment or pop into my class and arrange a meeting. As we like to start learning as soon as we enter the classroom, it would be more favourable to speak to me after school. You can also use the form at the bottom of the page to contact me directly with any questions you may have. Mrs Bates (below left) is our LSA and with us every morning from Monday - Wednesday. Mrs Woods (below right) is our class LSA Thursday and Friday. School councillors are the voice of the children within the school. They are voted for democratically and help with fundraising activities and school projects. Scruff is our class mascot and the children will have the chance to take Scruff home for a few days to share their everyday lives. Together you can fill in the log describing the adventures they have and take photographs or draw pictures - it is entirely up to you how you record it. ​Scruff will be rewarded for good behaviour, good work and good learning. What do we do in the mornings? What do we do in the afternoons? ​Early morning work Our foundation subjects such as Geography, Science, Art or R.E. Children are expected to read a minimum of four times a week and parents can record this in their Home School book. There are motivational incentives such as crystals for additional reading. Please can children only have water in their bottles - NO juice. Any medicines your child requires must be handed to the school office and a form needs to be filled in. These can not be given to the class teacher. Our theme this term is Penguins and the classroom received a special visitor last week in the name of Bob Waddles. He is our class penguin and gets up to a lot of mischief! This helps us with our writing in literacy! So may I introduce to you? BOB! Our forest school is run by Mrs Hall on a rota system during the afternoon. LBa will often have the opportunity to enjoy a varied outside learning environment during the school day. The children will need some outdoor clothing and wellington boots especially as winter approaches and these can be kept in their lockers. Forest school helps support the children's indoor learning via a more hands on approach using natural resources. Below are some pictures from a recent maths lesson on number bonds - the children were able to physically see the number bonds of 10 and 20 rather than just read and write about them on paper. One piece of homework is set per week: Learning Log, English or Maths which is part of a four-week cycle. This includes a week to practice times-tables and spellings (these are located in the A5 Home School book). The weekly homework is due in on MONDAYS and the children have a week to complete it. Home School books are given back out on Tuesday. Below is an example of a literacy based piece of homework. Maths homework will be based around chilli challenges and progress upwards in scale of colour, getting progressively harder. Children will be given homework that I think suits them best (apart from the first couple of pieces that have been generic). I am happy to give your child more challenging work if you feel they completed this too easily. Homework should on average take around 20-30 minutes. 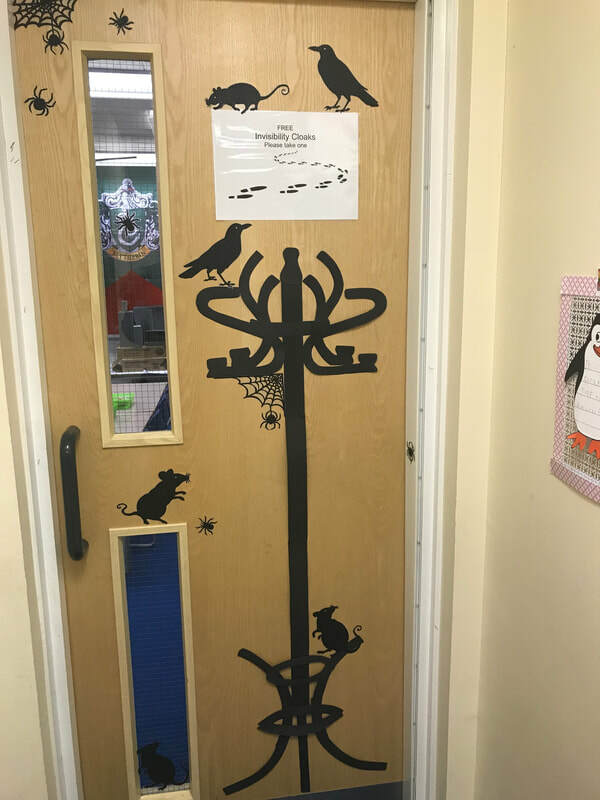 These characters are used alongside some of our learning and are situated in the class so the children can touch and feel the characters so they are able to connect with their meaning. Our topic this term is Penguins! This term we will be learning all about penguins. This theme will link with our work throughout the whole of the Autumn term. We will learn and use a medley of different skills over the next few weeks that will help us progress in all aspects of our learning. In maths we will be looking at a variety of things that include the number bonds of 10 and 20. 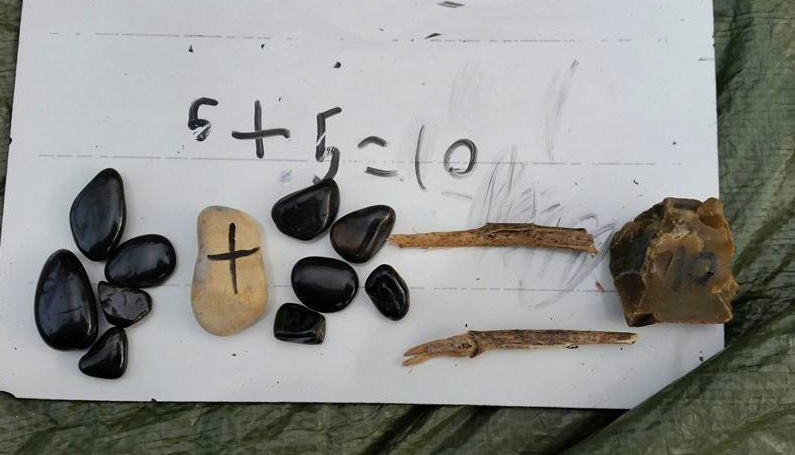 We will also be looking at numbers in both the numerical and written sense to enable children to forge a connection. Children will have access to a variety of resources to assist them during maths lessons. To help consolidate their learning further the children will be visiting the forest school area for a more hands on approach from time to time. Below are some photographs of outdoors maths lesson involving number bonds. In English the children will be learning how to write simple sentences using a stimulus of some sort and using a variety of punctuation. This will be predominantly theme based to allow the children to use their imagination. We will be looking at different penguin themed stories and pictures during this term to help with our literacy writing skills and hopefully some of the children will be familiar with the stories. We will be looking at our spellings of our first 100 words - these are located in small Home School Book. In foundation subjects such as Geography we will look at the coastline and erosion. In Art we will be making penguin habitat collages. 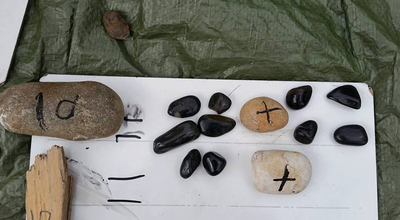 We will use a variety of craft materials to create a vibrant arctic scenario. In PSHE we will look at penguins and their young and discuss mental health and well-being. The children will learn what it takes to care for a penguin egg and use this analogy to talk about their feelings. We will also watch clips from the BBC titled - Hugo - What's the big idea? These short episodes tackle all manner of everyday things children will encounter in their daily lives and ask thought provoking questions about things such as rules, how different we all are and bullying. We can then extend this lesson and discuss these questions and more as a group during circle time. In Science we will be looking at classification, habitats and using senses. We will look at how different we are by comparing different aspects such as our eye colour and height. We will be learning about the days of the week, months of the year and seasons across the whole year. In French we will look at basic language and commands and school and home life. ​The children have worked hard producing some amazing penguin inspired pieces for their first project! 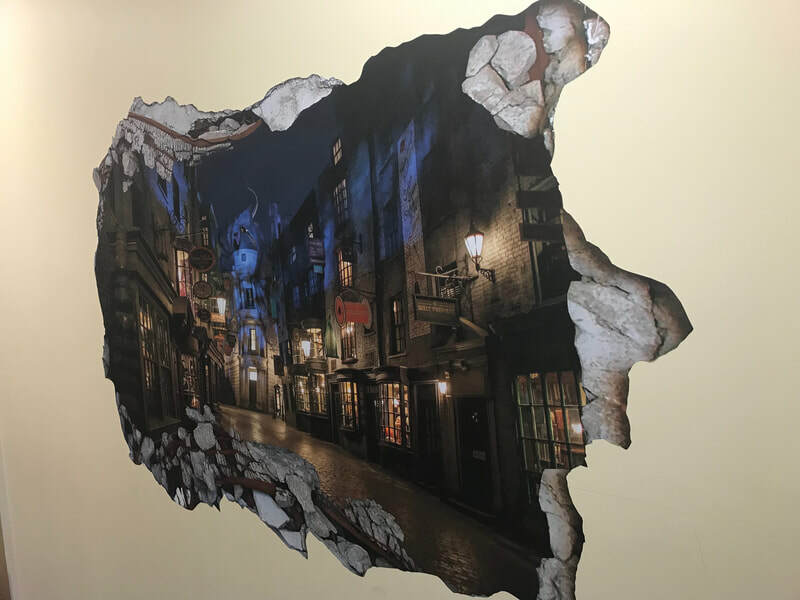 ​The Spring Term will see us stepping into the magical world of Harry Potter! Over the course of the next few weeks our theme will be linked to both core and foundation subjects - giving the children a wealth of opportunity to express and develop their imagination further. ​This term we will be concentrating on times tables and basic sentence structure for our early morning work - the reasoning behind this is to enable the children to gain more confidence in areas they may find daunting at times. This term in English we will be reading Harry Potter as our class novel. We will develop skills in expression and characterisation when reading. Pupils will continue to use the toolkit they have learnt so far this academic year regarding sentence structure and punctuation - this will add more depth to their writing. The children already follow a 'steps to success' criteria so this term we will be extending this to include question and exclamation marks, and commas and speech marks in some cases. 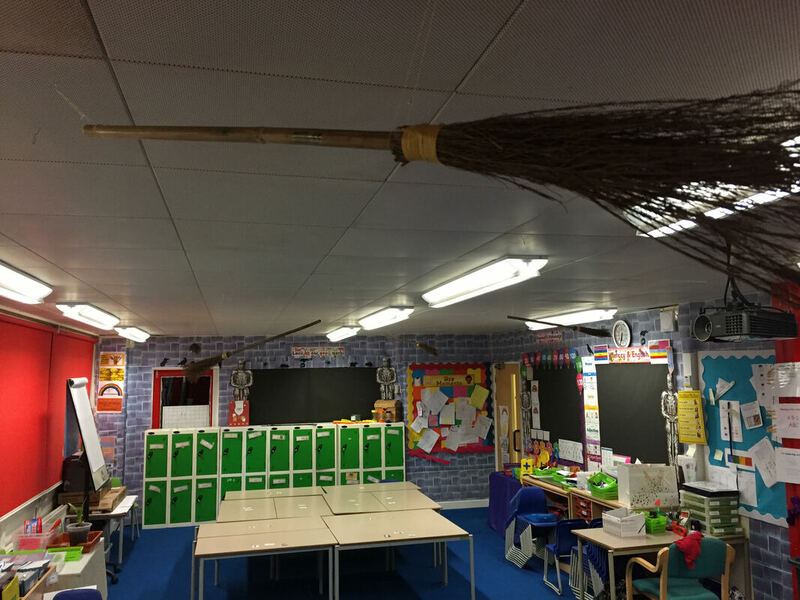 Having Harry Potter as our theme will allow the children to become engaged with their writing and is already proving to be very popular - even at this early stage. We are continuing to learn the spellings of the first 100/200 words (which are located in the small Home School Book). A good incentive for children to learn these is that their achievement is celebrated in a whole school assembly when appropriate levels are reached. We have talked about improving reading as a class - and recently had an in depth discussion to find out what interests the children. They collectively came up with non-fiction books so we will buy more of these with our budget. We talked about audio books and are practising Echo Reading. The children came up with the idea of having a 'class' library whereby they can take a book home and the next day present a small book report (verbal, written or pictorial) to the class - this is of course voluntary. children will have access to a variety of resources to assist them during maths lessons. To help consolidate their learning further, the children will still visit the forest school area to gain a more hands on approach, from time to time. 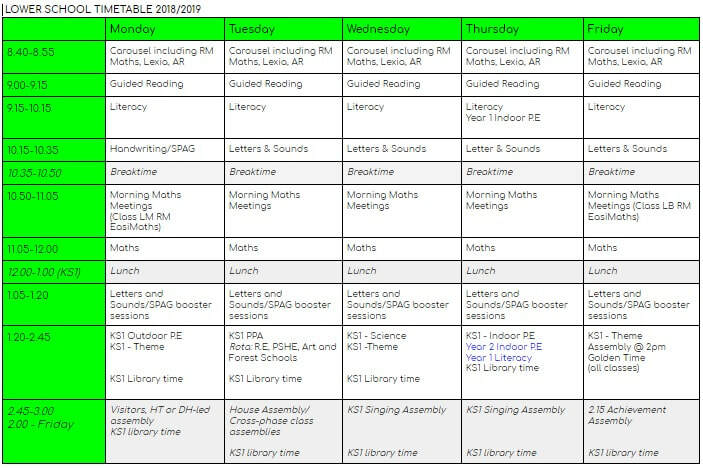 We will also continue looking at our 10, 2 and 5 times tables (and beyond if appropriate) and discovering different ways to help us learn them. In history we will be looking at wizards throughout the ages! Using the internet we will research real life people who claim(ed) to be wizards and what they did. We will look at how wizards dress and talk about what special powers we would have if we were wizards! In geography we will be looking at the different continents, seas and oceans. 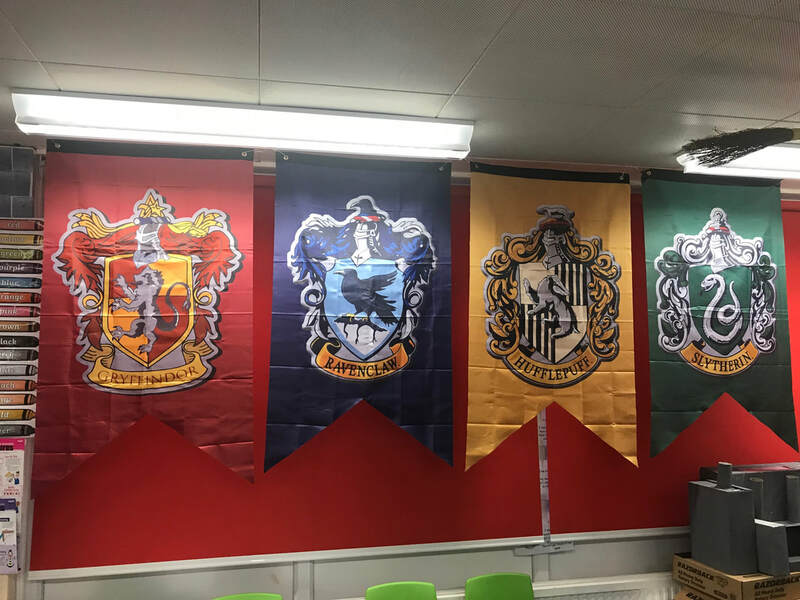 We will research facts about them and thinking about Harry Potter - look at where the Triwizard tournament entrants come from. Science - We are looking at plants and wildlife in our local environment. We will be having Herbology lessons and growing seedlings. Forest schools - We will be making wands from natural materials. DT - We are making trains out of boxes to be part of the Hogwarts Express! For PSHE we are looking at mental health and well-being and differences between us all.